Your dream home? This 5 bedroom ranch home set on 8.17 mostly wooded acres may be just what you always dreamed ofâ¦ NEW!! - Flooring Throughout, Paint Throughout, Central Air Unit, Gutters, Furnace, Water Heater, Roof, Concrete Patio and the list goes on! 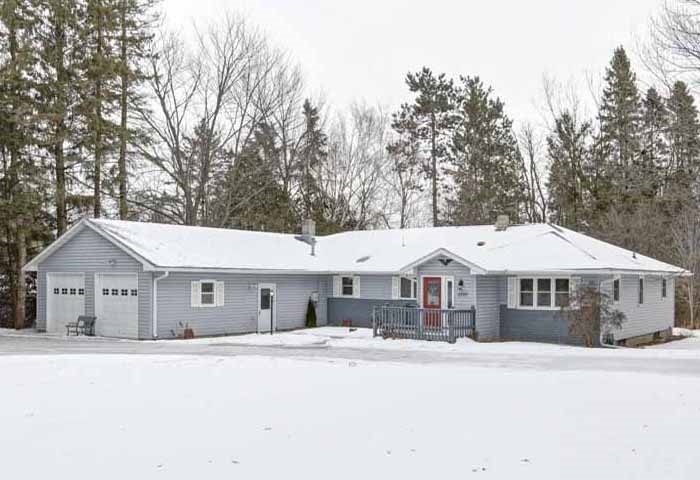 This completely remodeled home offers main floor living, a dry basement for storage or possibly to finish off and an oversized, attached, insulated, heated garage with workbench and mudroom.